Dairy experts suggest that a single cow must consume at least three liters of water every day to produce at least one liter of milk. If a farm has cattle which are producing at a high capacity, that means up to 150 liters of water must be available. When the farming activities occur in the U.S. Midwest or the rainy lands of Europe, that is a figure which doesn’t seem like a challenge to reach. 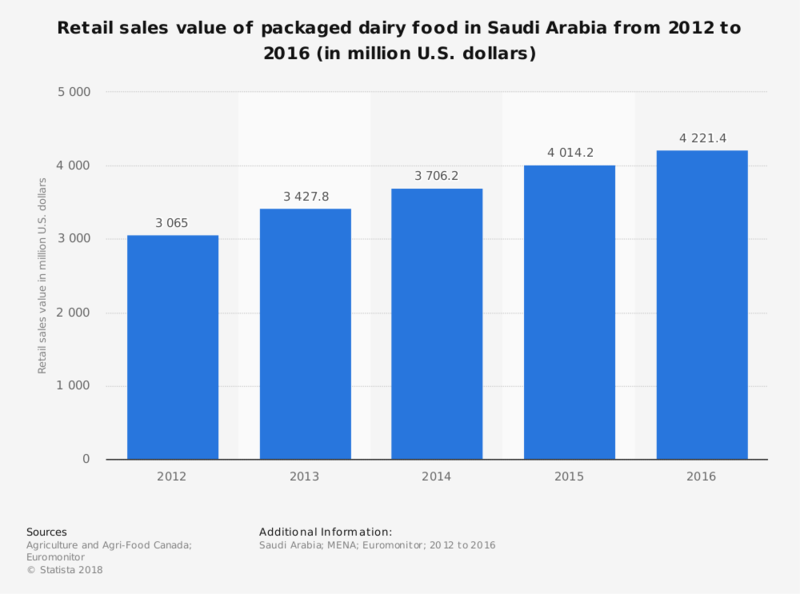 When you’re talking about the Saudi Arabia dairy industry, however, where the average annual rainfall is just 2.3 inches per year, that seems like an unlikely premise. It still works somehow because Saudi Arabia is one of the world’s ten largest dairy producers. Their largest dairy, Almarai, is one of the most significant food producers in the entire Persian Gulf. The dairy farms here are following the model that California dairies established decades before. If you can import enough water and feed, then you can house a large herd on a small land footprint. Some dairies in Saudi Arabia manage 1,000 cattle on just 40 acres. 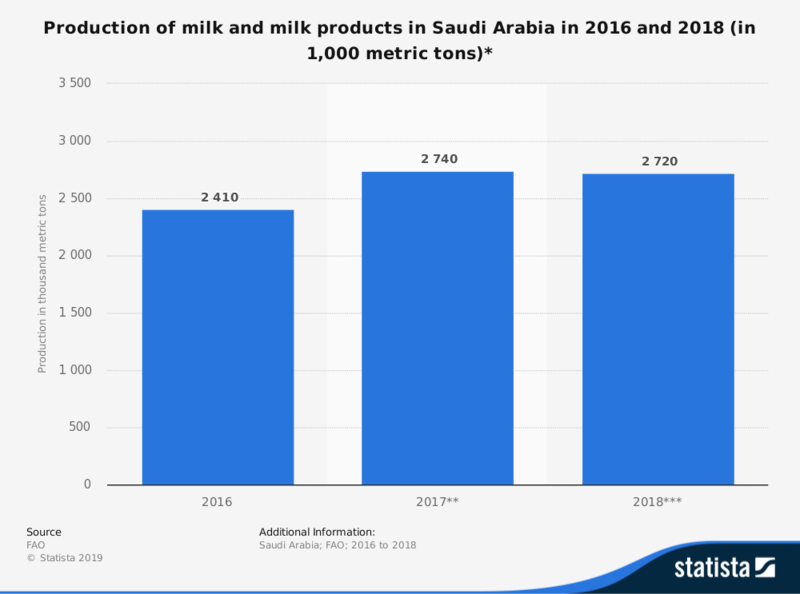 Although the dairy industry in Saudi Arabia is automated, there are real concerns about water access which will develop within the next decade. The high yields produced by farms like Almarai do create the potential for high profits and food access, but critics suggest that a significant price must be paid eventually. Irrigation pivots of Al Kharj create patches of green in the brown sands of the desert. Four decades ago, the underground stores of water were estimated to be over 500 cubic kilometers. That would be enough to fill Lake Erie if it were completely empty. About 80% of the aquifers in the region are now depleted. With virtually zero rainfall available to help replenish them, governments are phasing out crop production to focus on dairy work as a way to try limiting water. One way the Saudi Arabia dairy industry may be trying to counter this issue is to take water from other locations. Investors have acquired large tracks of land along the Nile River, and have started to relocate local populations. The theory is that the water could then be shipped to farmers who are focusing on milk production.